“Prank” centres on a young man (Dele) who was having a conversation with his fiancé about their wedding plans but problem started when one Barrister Amos (Obasijuade ) came to inform him that he was sent to him by the Richest woman in Africa (Mrs Folorunsho Alakija) to marry her daughter and there Dele’s betrayed his fiancé by signing agreement to marry for riches. 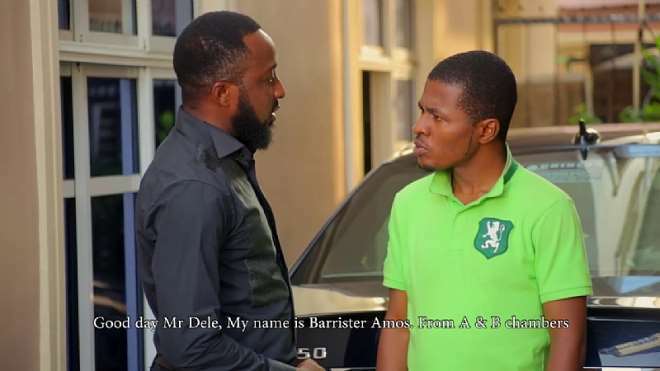 The web series, Dele Issues (Daily Issues) revolves around the main character; Dele, who always finds himself in rather awkward or ridiculous situations – resulting to him making some very funny decisions as to getting what he wants. Dele’s funny expressions always leaves the audience laughing effortlessly.